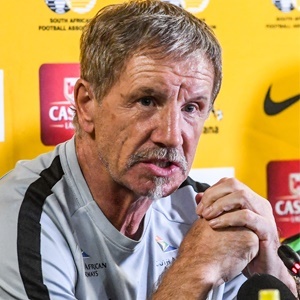 Cape Town - Bafana Bafana coach Stuart Baxter says he wants his side to develop an identity based on resilience and toughness at the 2019 Africa Cup of Nations (AFCON) tournament in Egypt during June and July. South Africa showed great courage to defeat Libya 2-1 last Sunday to ensure they progressed to the main competition from Group E, along with Nigeria who topped the standings. CAF are yet to officially announce the drawing pots for the tournament but did confirm that the draw will take place on Friday, 12 April in Cairo. Nonetheless, Baxter, who was speaking to the media after his side arrived back from Tunisia, outlined what his expectations are of his players at AFCON. He said: "We have just qualified for the first time in a long time (the last time was in 2015 under Shakes Mashaba) and we have qualified well. "Now, I think the next step in the development of the squad is to go there and develop a personality, an identity. "I have said to the players I want them to tell people that this is South Africa, this is what we are and be proud of that. "That is our goal and if it takes us to third place or winning it or we can't do anymore, then we should realise that is progress. "I don't want these lads to have a weight tied around their necks. I want us to go and really have a good go. "Let them know that South Africa are not here to be tourists. Let them know we have an identity and show the same fierce strength we showed in Libya. "And I will stand by them even if they finish sixth or seventh."